Here in America, we don’t hear a great deal about the Sahel, the great arid scrubland which stretches across Africa from the Atlantic coast to coast to the Red Sea coast just south of the Sahara Desert (I think the only time I have mentioned it, in thousands of blog posts, is when I mentioned the world’s most deadly snakes). The Sahel is vast: it stretches for 5,400 km (3,360 mi). 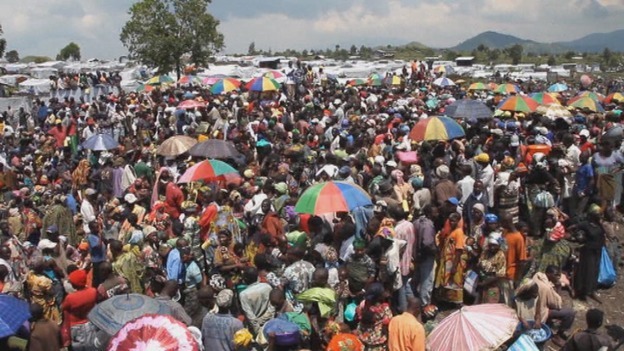 It crosses some of the poorest and most sparsely inhabited countries of Earth. Great droughts have hit the Sahel bringing starvation and horror to the semi-nomadic herdsmen and subsistence farmers who make up most of its population. It is the scene of sectarian fighting, terrorism, instability and violence. Most ominously, the desert is coming. 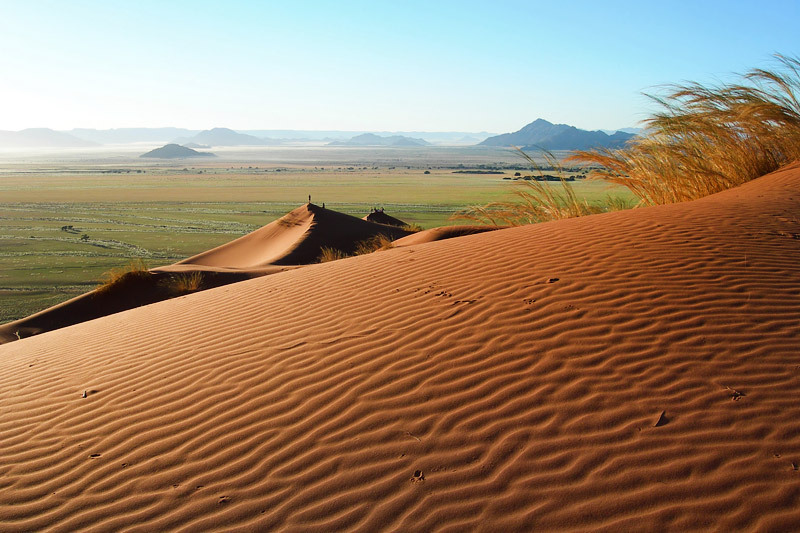 The world’s largest desert is expanding, pushing southwards into the Sahel (which in turn pushes further into the Sudanean grassland which lies south of the scrublands). Imagine if half the United States was scrubland like the California chaparral (but with lions and Boko Haram); now imagine if turned to insane deadly emptiness like Death Valley or the Rub’ al Khali [shudders]. The people of the Sahel are tough people. Their ancestors survived the great drought from 1450 to 1700. They have conceived a crazy titanic super project to prevent the Sahel from becoming the Sahara. It is a beautiful and stupendous concept—one of the great endeavors which is being attempted right now, but since it is not being undertaken by the great democracies or by mega-corporations or by the Chinese (who are experiencing one of their periodic scary resurgences under a ruthless and driven Emperor), it has not been much in the news. The project is to create a great green wall to keep the desert out. This wall will stretch across the entire continent and it will be alive, made up of millions upon millions of trees. The green wall will stretch though 11 countries (but 9 neighboring countries will also contribute). It is envisioned as a living wonder of the world: a vibrant forest where once there was wasteland. The hard lessons of China’s Green Wall and the Algerian Green Dam have allegedly been integrated into the ecological planning for Africa’s Green Wall. The project launched in earnest in 2012 and already 3 million trees have been planted in Senegal and Burkina Faso. Eritrea and Ethiopia are said to be making real progress on their forest planting projects too. If this project succeeds I will have respect for the African Union. Is there such a thing as a Gothic pigeon? There are a lot of different breeds of pigeond, however the most Medieval-looking member of the Columbidae family was never shaped by human selection. The Luzon bleeding heart pigeon (Gallicolumba luzonica) is a delicate shy bird which lives in tropical forests of Luzon, the largest island of the Philippines. The birds eat berries and grubs of the forest floor, which they almost never leave except when they are nesting. They are a mixture of barred gray above and cream color below, except for their distinguishing feature, which sets them apart from all other birds. Bleeding heart pigeons have a group of scarlet feathers at the center of their breast which make it look as though they have a terrible bleeding hole in their chest. In female birds this feature is somewhat subdued, however in males it glows incarnadine like a lurid painting of a Christian martyr. Male birds even appear to have droplets of blood running down from the terrible heart wound. The first time I encountered this bird was not in a book (or on a random blog written by some weirdo), but in the Bronx zoo. I saw a glimpse of a male bird at the back of an aviary and I got all afraid that he had been horribly hurt. Only when I saw the picture on the exhibit were my fears assuaged. All of this leads up to the question of why these animals look like they have been shot through the heart. There are lots of folklore explanations (of the dogwood religious just-so story variety), but the real answer is that nobody knows. It is a shockingly metal look for such an unassuming and modest bird. Sadly the bleeding heart pigeon is growing scarce as its forest home is cut down and made into plywood. Additionally, people capture and sell the birds into the pet and aviary trade. Like the planet Jupiter, it is valued for its lovely and unnerving red spot. With its mild nature, endangered status, and religious martyr good looks, perhaps the bleeding heart dove is a perfect mascot of the terrible plight of animals in our over-burdened Anthropocene world. 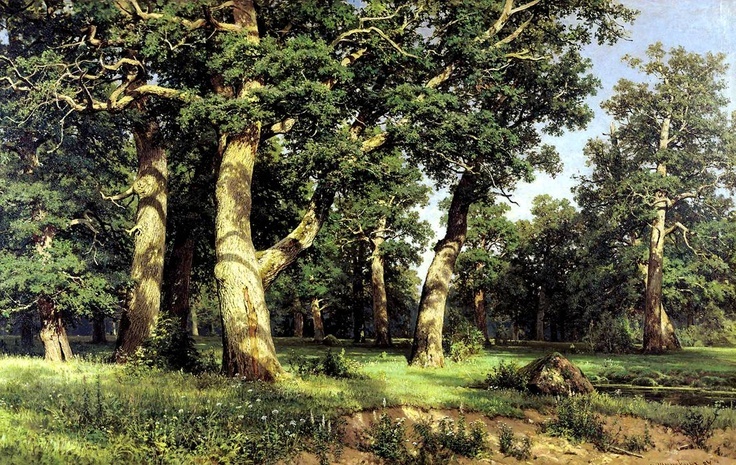 Ivan Ivanovich Shishkin (Ива́н Ива́нович Ши́шкин) was born in Yelabuga, in central Russia near the Volga in 1832. His father was a free-thinking merchant who encouraged exploration of the world and supported young Ivan in his artistic studies. Ivan became part of “the itinerants” a group of artists who chose to ignore the rigid rules of European art and doggedly pursue their own interests and subjects. For Ivan this was the magnificent forests of Russia which he painted in all of their splendor with stupendously adroit realism. 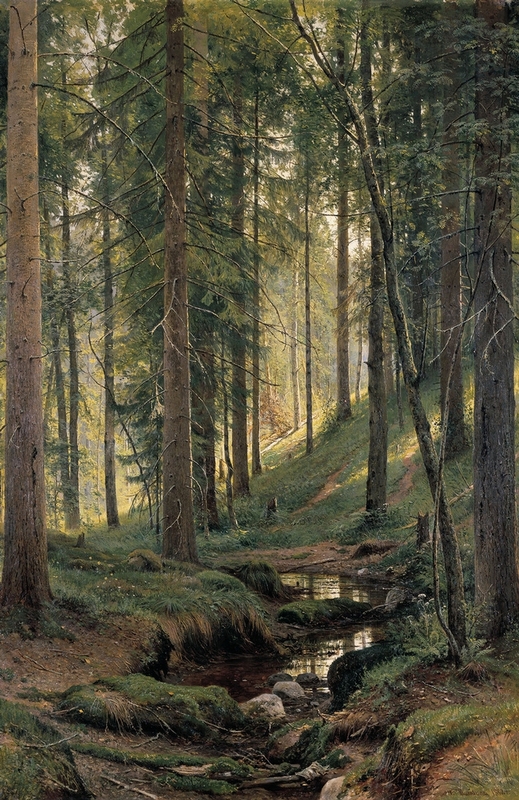 He surely ranks as one of the greatest forest painters of all time. Each of his canvases presents a living forest as its own world. Every tree is as distinct as a person and they are joined as a thriving whole within a larger ecosystem of plants, fungi, and living things. Here are three of Ivan’s astonishing paintings. The viewer can feel how each forest has a completely different character and mood. The open meadows around the great oaks in the first painting are as different as possible from the brown stream running out of the firs…which is again as different as can be from the dark pine wood filled with woodears and mosses. Yet, though they are different, each of his forests is a beautiful and sacred place—a transcendent slice of nature. Ivan’s work is not as famous as it should be because he chose to take it directly to the Russian people rather than selling it to aristocrats or Europeans (an attitude which was part of the itinerant philosophy). 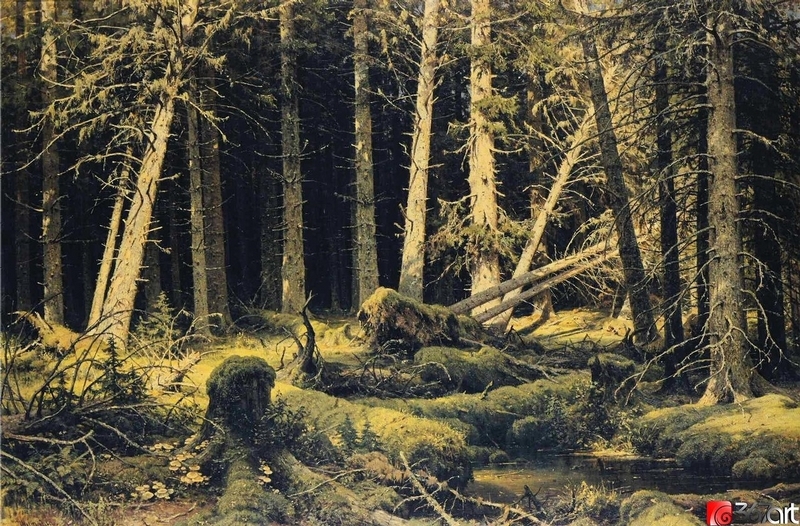 However his travels through rural Russia kept his mission pure and kept him close to his true love—the Russian woods. Thanks to his life beyond the limelight we can now travel these erstwhile greenwoods by means of art and learn to see the breathtaking majesty of the forest. 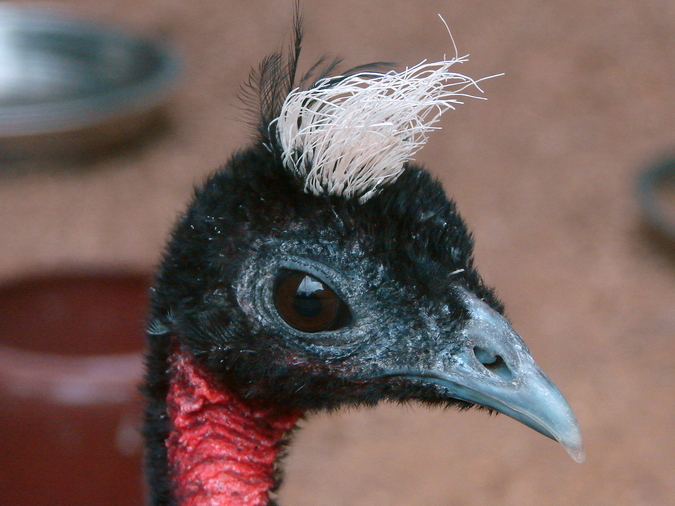 Behold the majestic Congo peafowl Afropavo congensis! This attractive bird is the only member of its genus. It seems to share characteristics with both the famous Indian peafowl and the guinea fowl—so perhaps it is a link between the two respective families. 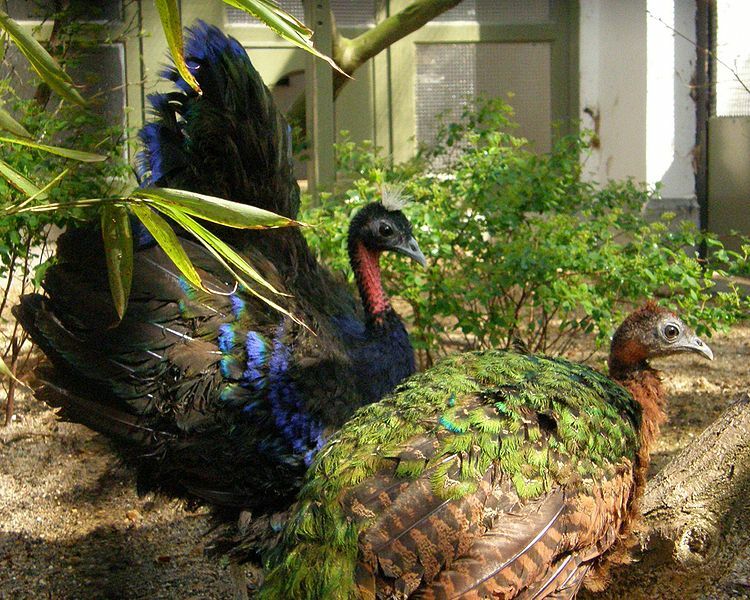 Male Congo peacocks grow up to 64–70 cm (25–28 in) in length and are brilliantly colored. Females are smaller and have duller plumage. 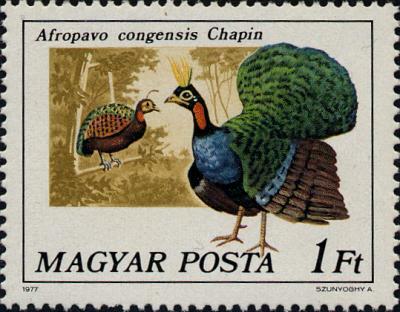 Congo peafowl are omnivores: they feed on fruits, berries and seeds as well as hunting invertebrates such as insects and sundry other arthropods. Both males and females have lovely but chaotic feather crowns. 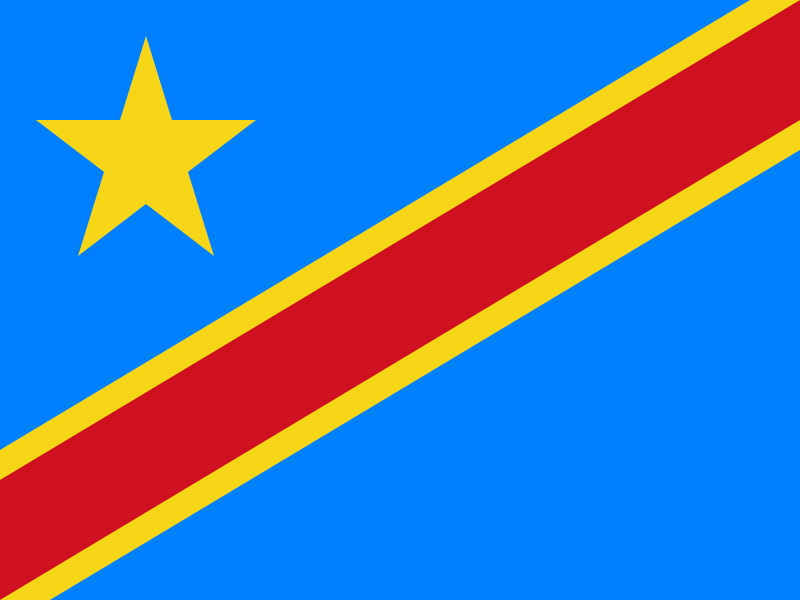 The birds are found only in central lowland forests of the Democratic Republic of the Congo and they are the national bird of that country. Last week we wrote about the strange Monito del monte—an arboreal marsupial which lives in the Valdivian temperate rain forests of Chile and Argentina. This week’s headlines are filled with exciting zoo news related to those strange forests. 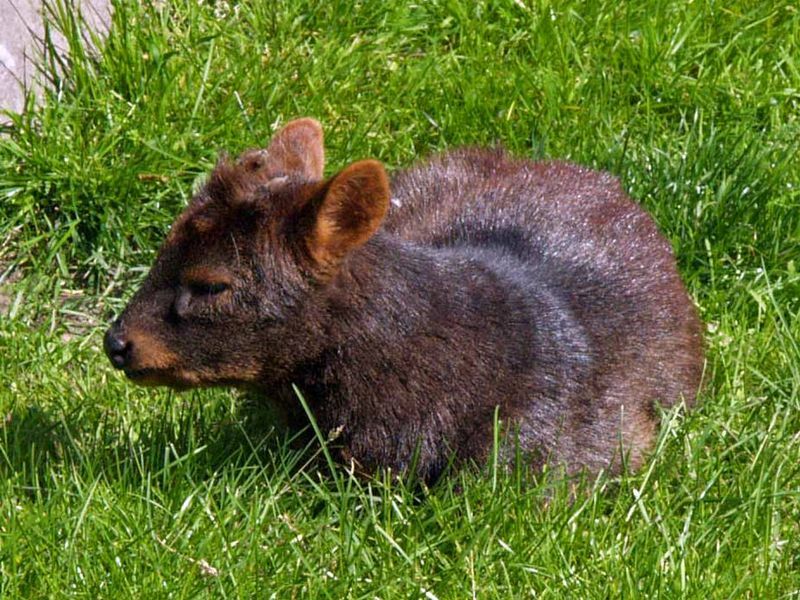 A baby southern pudú (Pudu puda) was born in the Queens zoo a month ago (zoos delay the announcement of newborns in order to dramatize public introductions). Pudús are the world’s tiniest deer: adults weigh up to 12 kilograms (26 lb), although the mightiest stags can sometimes reach 13.4 kilograms (30 lb) and loom up to 44 centimeters (17 in) tall. Female pudús lack antlers, however the stags have tiny antlers with no forks (which can measure up to 7.5 centimeters (3.0 inches) long). 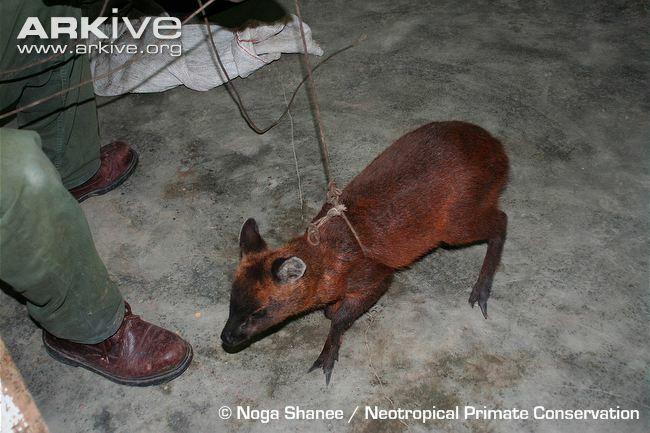 There are two species in this genus of cervids: the southern pudú (Pudu puda) & the northern pudú (Pudu mephistophiles) which are similar in appearance and habit (although the northern pudú is smaller, and only gets up to 33 cm (13 inches) in height). 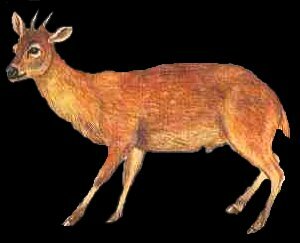 Pudús hide in the low growing vegetation of the miniature forests where they dwell and they feed on the same vegetation by pulling it down with their hooves or by climbing stumps and low branches to reach the leaves. Their vocalizations are as adorable as they themselves are: the diminutive deer bark when they are alarmed. If they become angry, their fur bristles and they shiver. This display of wrath is not especially intimidating and many predators prey on pudús, including owls, foxes, and tiny rainforest cats (and occasionally formidable pumas). Unfortunately, humans have introduced dogs and red deer to the delicate Andean cloud forests where the deer live and these invaders are respectively overhunting and outcompeting the winsome little deer. 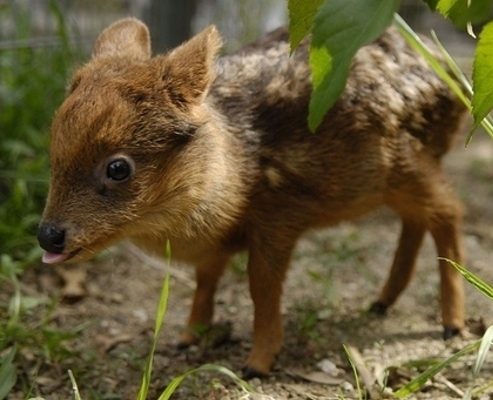 I am extremely happy that there is a little pudú fawn living in Queens. I am also glad another animal from the temperate rainforests of South Chile (the last surviving remnant of the rainforests of Antarctica) is in the news. 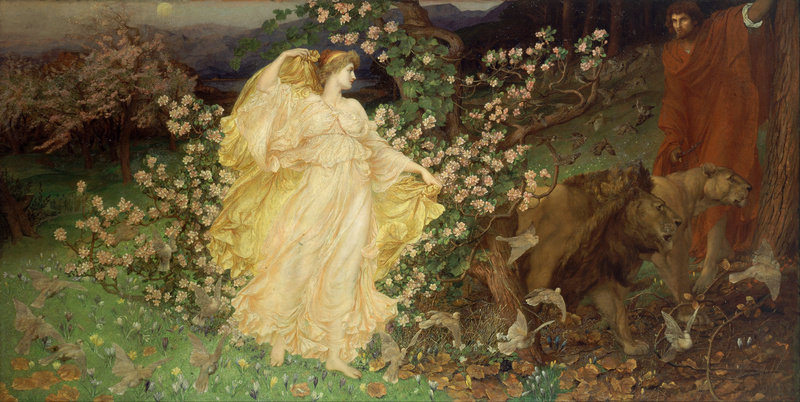 I desperately wish John D. Dawson would paint a picture of the eco-region so that I truly could show you how strange and lovely the plants and animals there are. But, until that happy occasion, here is another pudú photo. 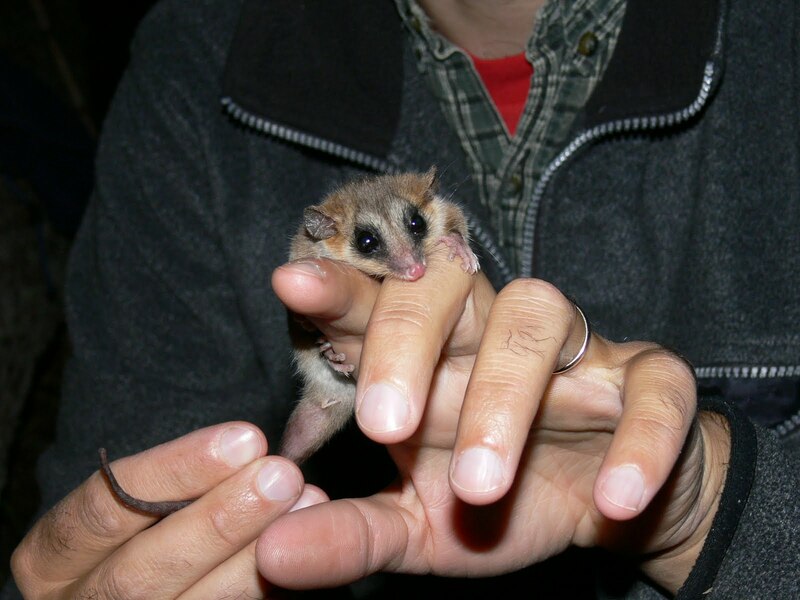 Monito del monte (Dromiciops gliroides) is a tiny arboreal marsupial native to the temperate rainforests of Chile and Argentina. The name “Monito del monte” means “little monkey of the mountain” and although the tiny marsupials are not even remotely related to primates, they are clever and deft. During the cold winter months the animals hibernate in little ball-like nests which they build out of waterproof leaves and line with moss. Like the more familiar marsupials of Australia, the females have pouches where they nurse their litters of up to four offspring. The adult animals prey on small invertebrates which live in the trees but they also supplement their diets with fruits and seeds. A particular species of Loranthacous mistletoe (Tristerix corymbosus) has evolved in conjunction with the monito del monte and relies entirely on the animal to spread its seeds. 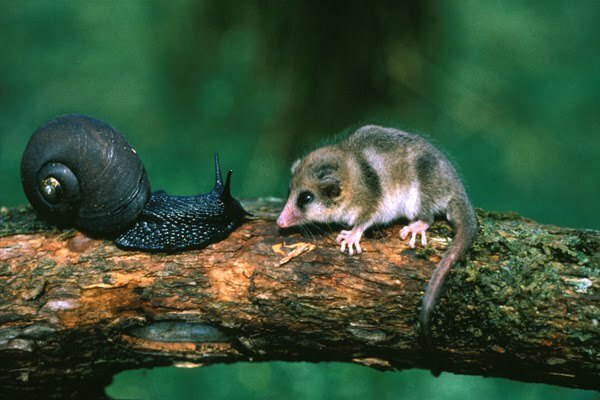 This is noteworthy because “scientists speculate that the coevolution of these two species could have begun 60–70 million years ago.” The monito del monte is not some rodentlike offshoot of the marsupial line, it is a close analog (and direct descendent) of the basal line from which all marsupials spring. In fact, like something out of a gothic novel, the monito del monte is the only species of the sole genus of the last family of the exceedingly ancient order Microbiotheria. During the dawn of the dinosaurs, South America, Antarctica, and Australia were amalgamated together as a supercontinent Gondwana. 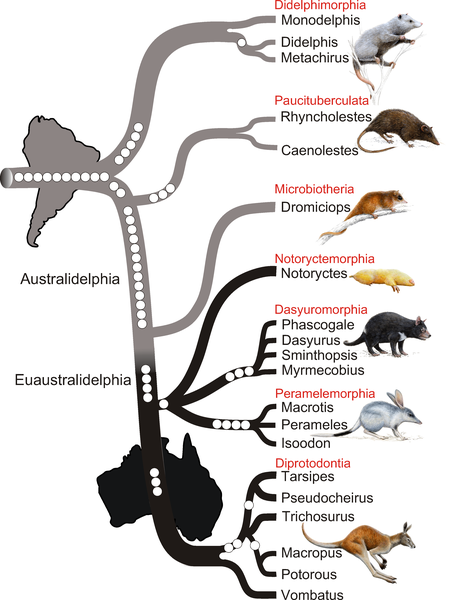 The offspring of the original marsupials spread from South America, across Antarctica, to Australia, but then the continents drifted away from each other and evolution took a different direction in each ecoysytem. 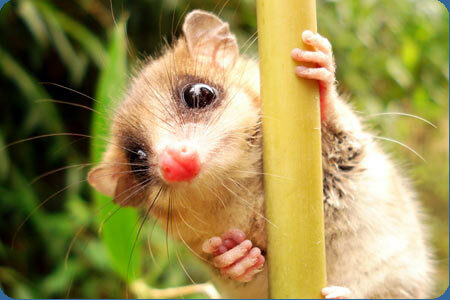 The monito del monte remained in the same sort of forest as its ancestors and changed least over the years. 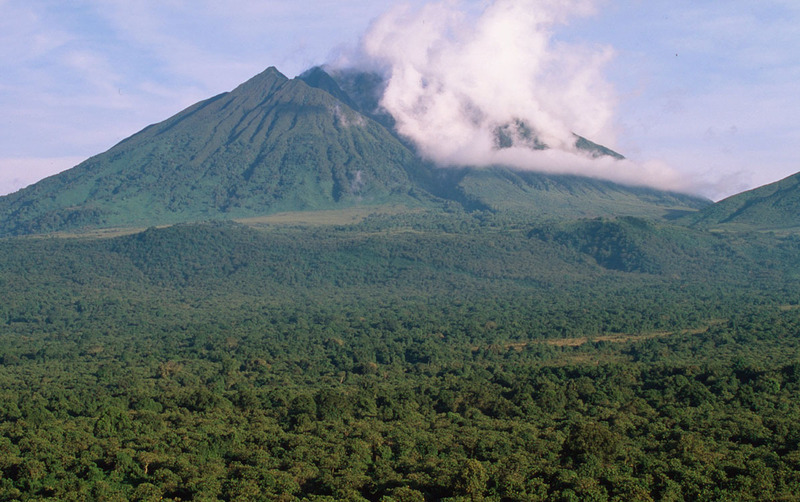 Speaking of which, the Valdivian temperate rain forests where the monito del monte lives today are themselves a remnant of the great forests of Gonwana. The trees and plants which live there now are most closely related to the living plants of Australia, New Zealand, & New Caledonia, but they are closer still to the fossilized forests which lie beneath the glaciers of Antarctica. The Valdivian forest is the closest thing surviving to the great forests which once covered the iced over southern continent. The ancestors of the monita del monte—and of all other marsupials—originated in South America and spread through the Antarctic forests to Australia before the continents drifted apart during the Cretaceous. When the continent broke from Australia and drifted south into the prison of the circumpolar current during the Eocene, the forests died and Antarctica became an otherworldly landscape of ice. 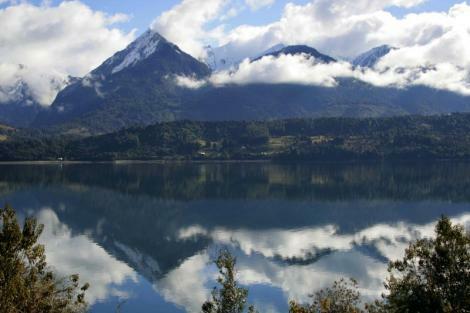 Yet if you wish to know what the sweeping temperate forests of Antarctica were like you can visit Chile and watch the most ancient marsupial among the tree ferns and araucaria trees of the Valdivian forest.